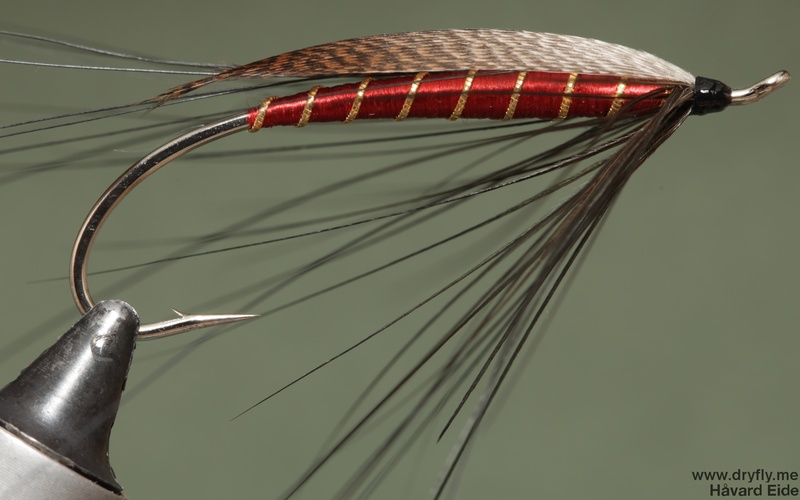 A freestyle spey where I wanted to have as few materials as possible, work on the body profile and try to not overload the fly with too much of the materials I used. The lagartun silk floss with the gold rib really stands out on this one, the taper of the body is also one that I’m very happy with – it goes smoothly from start to finish. The one thing I could work on is the wing, I did it high over the body (and not really low-set) with purpose, and I’m quite happy with that, but the smoothness of the wing from some angles are not the best, so I’ll put another version up later.